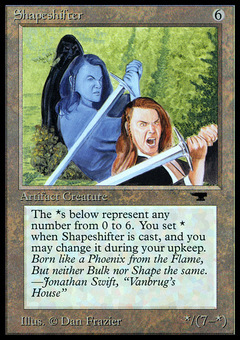 Shapeshifter ($11.50) Price History from major stores - Antiquities - MTGPrice.com Values for Ebay, Amazon and hobby stores! 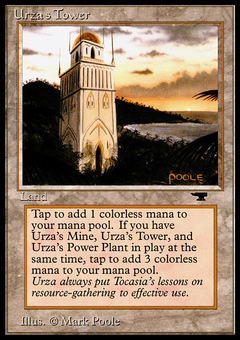 Flavor Text: Born like a Phoenix from the Flame, But neither Bulk nor Shape the same. -Jonathan Swift, "Vanbrug's House"